1549 was an extraordinary year. England was ruled by the Duke of Somerset, standing in for Edward, Henry VIII's son who had not yet reached the age of majority. The Duke wasn't the most sophisticated of rulers and he presided over a difficult situation. Cash was short, France was putting pressure on England and its possessions on the continent. Scotland was the eternal threat in the north and, most importantly, things were difficult back home. The year saw a series of peasant risings across the country. 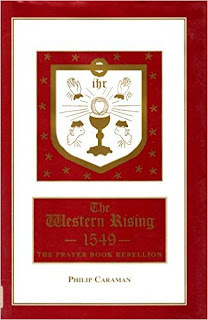 Two major ones are the best known today, the Western Rising, or the Prayer Book Revolt that engulfed Cornwall and Devon. Better known was Kett's Rebellion in Norfolk. But there were also dozens of rebellions, protests and riots across the country, some of which required large scale military repression. Julian Cornwall's book explores this crisis year as a whole. 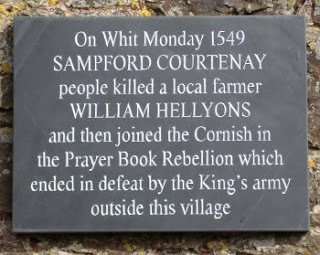 Often the major rebellions are written of separately, linked only by the point that repression of the Norfolk Rising could only begin when the best troops had finished putting the Cornish rebels to the sword. Julian Cornwall however argues that the risings were linked, not in any sense of being co-ordinated (they certainly were not) and not really in terms of sharing demands, but in the sense that they arose out of the political and economic circumstances - a changing Tudor society that was particularly impacting upon rural inhabitants coupled with wider changes of population. In churches throughout the land the Book of Common Prayer was opened and the new services in English read for the first time. No voice was raised in protest... And then, within a day or two, came a bombshell. The people of remote village in Devonshire had taken up arms and defied the authorities. The magistrates had temporised, lost control of the situation... the flame of revolt was spreading like wildfire, threatening to engulf the whole county, perhaps all the West Country. And the most alarming fact was that this was no riot about enclosures purporting to stimulate enforcement of the law, but open defiance of the government, demanding the withdrawal of the Prayer Book and the restoration of the Mass. This was very different to Norfolk. There rebellion was focused on anger at enclosures and the introduction of sheep. 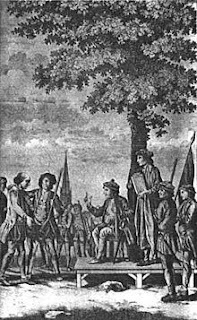 The rebels, after their initial uprising uprooted hedges as they marched on Norwich, the local capital. There, tens of thousands, under the able leadership of Robert Kett, laid siege to the city. Though, like in the West, with the rebel siege of Exeter, this effectively prevented any march on the capital which certainly would have led to a major confrontation. since four-fifths of the population depended more or less directly on agriculture, was intimately bound up with the land. The agrarian problem comprised several distinct grievances of which the most inflammatory was enclosure, so much so that it had become the omnibus term for the lot. I have argued elsewhere though, that the religious grievances of the West were in themselves essentially economic ones. That the rebellion exploded in the West over religious issues was merely because of the peculiarities of this part of England. But the deep seated discontent that led to 1000s of Cornish and Devonshire men preparing to engage the armies in pitched battle was not dissimilar to that elsewhere in the country. Julian Cornwall's book is a good account of this history. He concentrates on the military aspect of the rebellions and their suppression. Which is useful as we get a flavour of just how threatened the ruling class felt, and the extent to which they were prepared to put down the risings. The author notes, for instance, that the repression was so great in Cornwall that it was on a par with the per-capita death rate the French experienced at Verdun, and the shock to the psyche must have been just as great. It was a very long time before Cornwall was to partake in rebellion again and, as Julian Cornwall notes, Catholicism was essentially destroyed in the area by the repression. There was much bloodletting in Norfolk too. The final battle at "Dussindale" was less a military confrontation than a massacre. Intriguingly Julian Cornwall suggests that Kett's rising only reached the scale it did because military forces were committed elsewhere. It was a "calculated risk" he suggested to let Norfolk rise, while the West was put down. Norfolk was no different to any number of other 1549 rural risings which were crushed before a leader could arise who was able, like Kett, to turn a local outburst of anger into a major rebellion. Able to flourish until a decisive victory had been gained in the West and Exeter relieved, the Norfolk rebellion was granted a further three weeks' respite while the government redeployed its forces. After that, Warwick had a walkover against farmers and labourers who had never wanted to fight in the first place, but had been driven into a posture of rebellion by the government's blunders. But there were similarities, not least, in what Julian Cornwall describes as polaristaion", the "manifestation of peasant antagonism against the gentry". This is perhaps nicely summed up by Robert Burnham, who was hauled before the mayor for saying "There are too many gentlemen in England by five hundred". Such sentiments were rarely expressed during the rebellions themselves, but at root, these were risings to defend the livelihoods of the rural poor who faced the destruction of their traditions and religion and their impoverishment at the hands of those who wanted to use land and labour to simply make money. They are sentiments that have been shared by peasants through the ages and remain powerful demands in modern agrarian conflicts. In my reviews of books on early modern rebellion's such as the Pilgrimage of Grace and the Western Rising, I've noted that the question of why people rise is often a complicated one. All too often uprisings are described as "religious" or "economic" as though there is a simple explanation for these chaotic events. Andy Wood's book arrives then, as a breath of fresh air. In it he attempts to understand the surprisingly complex question of "what is politics?" and finds that while "early modern labouring people constituted their political identities within strong senses of locality" they were also shaped by, responding too, and helping to shape wider, national politics too. politics will be understood to occur where power is reasserted, extended or challenged. Politics is therefore the product of deliberate, human agency and is pre-eminently about conflict and change. In this analysis, politics does not occur where the distribution of power remains static and unchallenged. In other words, the author see politics as a dynamic engagement between people and wider society. Thus changes to material conditions - access to food, or infringements on historic rights - become the subject of wider "politics" for the community. There is a sense in which rulers and crowd needed each other, watched each other, performed theatre and counter theatre to each other's auditorium, moderated each other's political behaviour. This is a more active and reciprocal relationship than the one normally brought to mind under the formula 'paternalism and deference'. This perhaps helps explain why rarely in the early modern rebellions (the noted exception is the Peasants' Rebellion of 1381) do the rebels clamour for radical change. While revolution is in the air simply because large numbers of people are in arms, their is rarely an enormous desire for change. Actually what is taking place (classically during the Pilgrimage of Grace) is an mass struggle for the maintenance of the status quo. Indeed this helps to explain why those taking part in rebellions often came from all strata of rural life. Gentlemen pressed into joining rebellion, who then (at least for a time) appear to commit themselves whole heartedly to the cause. Wood notes for instance, that in times of food shortages in England, food riots were common. But the participants rarely rioted for the distribution of free food. Instead they forced vendors to sell at a fair price. This is particularly true of rural events during the English Civil War. 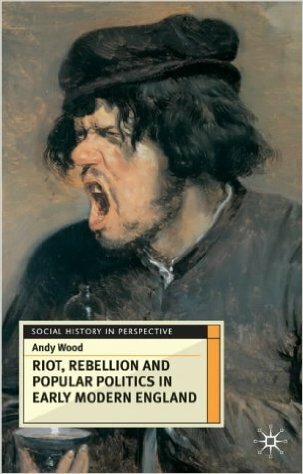 Wood examines in detail the "clubmen" of the First Civil War those rural movements which often originated in attempts to protect food and land from marauding Royalist and Parliamentary Armies. While these seem superficially radical they "conservative: suspicious of innovation, hostile to outsiders, defensive of the established place off the united village community within the larger polity". Wood contrasts these to the radical Levellers and Diggers, who had more radical visions of an alternative society, but he points out that they also often focused on the village and small town as the way to organise society, imagining a sort of Utopian agricultural community, albeit one without landlords and rulers. Therefore you of the poorer sort, understand this, that nothing but the manuring of the common Land, will reduce you into a comfortable condition. Over the course of the early modern period, we have charted an uneven, contested, messy process by which the legitimising language of community and the institutional apparatus of parochial organisation passed into the hands of parish elites... But we have also seen how local resistance to the exercise of social power helped to form collective plebeian identities within individual villages, 'countries' and regions. This brings to mind Marx and Engels' famous quote about the history of early class societies being that of class struggle. Alan Wood has placed such struggles, both open and hidden, at the heart of his attempt to understand the dynamics of the early modern period. While his book might not be accessible to those who haven't got at least some knowledge of the period, it is a fine introduction to an formative period of English history that deserves a wider readership. This short historical account of the class struggles in the United Kingdom during the early part of the 20th century is a tremendous introduction to a formative period for the British working class movement. John Newsinger is one of the best socialist historians writing at the moment and his books are excellent at describing struggle as well as analysing events. So while much of this book is given over to describing mass strike movements, Newsinger also explores the varied forces that led to these being successes or defeats for the workers. In particular, for this period, this means examining the growth (and nature) of the British Labour Party, and its behaviour in its first governments; the formation and activities of the Communist Party and crucially the activities of the trade union leadership. In various ways, all of these were found wanting. But what was not lacking during this period, was the ability of ordinary workers in Britain to organise, to fight back and the act in solidarity with other workers, often in the face of huge repression and violence from the British state and the betrayals of their so called leaders. Let's have a look at one example. In 1911 an enormous strike wave swept the country. Dockers, seamen, railway workers took part in mass, militant strikes. Whole communities fought back. In Liverpool, the local newspaper reported "residents in many instances took sides with the rioters against the police, throwing bottles, bricks, slates and stones from the houses and roofs." Newsinger shows how the ruling class was terrified of revolution. "George V [wrote] to Churchill to complain of 'the half-hearted employment of troops... they should be given a free hand and the mob should be made to fear them'.... In Liverpool meanwhile, the Strike Committee, chaired by Tom Mann... called a general strike, effectively closing the city down. Over 60,000 workers, men and women were out on strike. The Strike Committee was in effective control of the city... One Liberal Cabinet member, Herbert Samuel, wrote to his wife in a panic that 'Liverpool is verging on a state of revolution." This militancy led the official union movement to try and take control. Their chief weapon was "fake militancy". As troops were mobilised to put the strike down, the unions made the strike official, but this didn't dampen militancy. At Llanelli military intervention led to two strikes being shot dead by British soldiers. But the use of troops didn't stop further workers coming out, and instead Lloyd George, the Prime Minister turned to Ramsey McDonald, the Labour leader and offered the unions a Royal Commission. This was enough to allow the unions enough to call the strikes off. As Newsinger notes, craven surrender was presented as historic victory. This one example begins a pattern. Labour, desperate to prove that it could manage capitalism, was prepared over and over to repudiate strikes and sell out struggles. Ramsey McDonald has rightly been labelled a traitor and a scab for betraying his Labour colleagues and froming a national government. But in practice most of those in the Labour leadership were equally craven. Newsinger describes their sycophantic behaviour towards George V when they formed the first Labour led government, a government that saw public school graduates outnumber trade unionists in the cabinet. As Newsinger explains, Labour's reformism, its hope to gain small reforms from within the system, means it refused to challenge capitalism at all. Instead, when workers militancy threatened bosses profits, or even the stability of the system, Labour politicians were the first to support the status quo. Close behind were the trade union leadership, who wedged between the workers and the bosses, time and again sided with the enemies of the workers. There are plenty of examples in Newsinger's book of their betrayals. Most obviously the 1926 General Strike which the TUC led so badly. Despite enormous solidarity, huge support for the strike and growing militancy the TUC did everything they could to dampen spirits and reduce self-activity. As the government increased the pressure, imprisoning militants from the Communist Party and putting more and more pressure on the union leadership, the TUC took the first chance they could find to pull the plug. 100,000s of miners' were left to fight alone and thousands of trade union activists lost their jobs because the TUC was more afraid of its members' militancy than the capitalists. Where rank and file organisation did exist, we see time and again independent leadership helping to lead workers to victory. One organisation that should have been a central part of this was the Communist Party. Newsinger explains how the CP was hamstrung initially by its origins in the sectarian British left who often saw union struggles as a distraction. But the CP increasingly became tied to the needs of Russian foreign policy and in 1926 built enormous illusions in left-wing trade union leaders. Their betrayal came as a shock to the communists who had failed to prepare militants for such an eventuality. 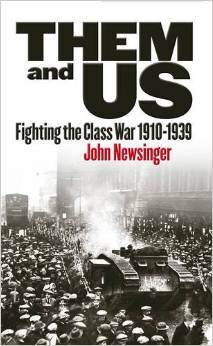 Newsinger follows the struggles through the tough years of the 1930s, describing the powerful Unemployed workers movements that again, shook the ruling class, to the heroic anti-fascist movements that stopped the British Union of Fascists from becoming like their counter-parts in Italy and Germany. Through the whole period he rescues forgotten struggles to inspire us today - the mass busworkers strikes in London in 1935 led by rank and file workers, the huge unemployed protests in South Wales in the same that saw up to 300,000 on the streets helping to beat back further government cuts. The movements in solidarity with Republican Spain, and earlier the Russian Revolution. Newsinger's book is excellent, though I felt it missed some important parts of the struggle. Oddly there is no mention of the 1921 struggle by Poplar Councillors against Tory attacks that saw the Labour councillors including George Lansbury jailed for their defiance. Newsinger is rightly critical of Labour's betrayals, but the Poplar struggle does show councillors who are prepared to fight can help build movements that can eventually defeat the government. Similarly there is little here about the mass anti-war movements that developed before both World War One and Two. Nevertheless, Newsinger covers an extensive period and draws out many nuances of the class struggle in a short book, a period when workers terrified the British establishment who seemed to have spent 25 years fearing revolution. For activists today there is a great deal of material here to inspire us, and teach us valuable lessons for the fight against austerity, capitalism and racism today. No historian before Miss Wedgwood has attempted to retell the story with a comparable wealth of detail. She draws most skilfully and with admirable catholicity of interest on a mass of sources, old and new, published and unpublished, English, Scottish and Irish. But Miss Wedgwood's book as a whole is a narrative, not an explanation. It tells us all about the war except what they fought each other for. Hill was absolutely right to point to Wedgwood's wealth of resources and detail. This is a lively and extremely detailed account of the Civil War. Her writing is readable and in places extremely entertaining. Despite her own Tory politics the author manages to be reasonably balanced in her account and displays an admirable understand of some of the forces at play beneath the surface. But this is by and large a history of the big picture. 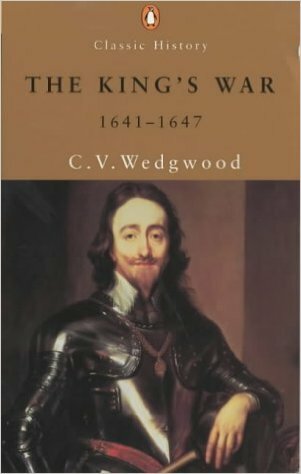 Unsurprisingly, given that this is volume two of her three volumes of biography about Charles I, this mostly examines the Civil War from the point of view of the King. That said, the Charles I here is very much a prevaricating figure, prone to listening to his current favourite and ignoring advice from his skilled military leaders and those who had fallen out of temporary favoritism. In fact, at times, Charles recedes into the background precisely because his importance lies solely in because he is king. He is not a good leader, he frequently lacks clarity of ideas, tact and even the ability to express his point of view. As the military tide turns Charles scrambles around for new alliances, believing that his god given position as king will save him, and failing to understand that he is under threat because the world has moved on, and there are now bigger forces at play. Indeed, as Hill noted, Wedgwood was able to display an admirable grasp of the way that the world was changing and the threat this meant for those of the old order. But what really aroused their anger was the claim of humble and uneducated people to interpret the Word of God. Dr. Baillie was perturbed lest the 'silly, simple lads' in the Scots army should come into contact with opinions which might corrupt them. His anxiety for the welfare of their souls was genuine, but it arose, however innocently, from the conviction that such as he must always know, under God's guidance, what was best for 'silly, simple lads'. They were not to be encouraged to think for themselves. When ordinary men and women got it into their heads that it was a fine thing, but the grace and power of God, to be 'downright separatists,' the secular as well as the spiritual order was threatened. Sadly there is not enough of this sort of analysis and rather too much detail about armies marching hither and thither and the machinations between different wings of the Royalists. Wedgwood's approach is, of course, not without value. For those hoping to learn a general history of the Civil War there are few books that come close, though the detail can be overwhelming. I also found that Wedgwood's emphasis on events in Scotland and Ireland had been neglected in my own reading of the period and she helped to illuminate this. Particularly important in understanding why the Scots gave up Charles to Parliament (to his immense surprise). Finally, Wedgwood's highlights the role of Prince Rupert, the principle architect of many of Charles' initial victories, and her book is in part an attempt to rescue Rupert's reputation. While I can take or leave princes, Rupert's military skills and role are clearly of enormous importance in understanding the war. For all these criticisms, Wedgwood's book has much of interest to the casual and serious student of the English Civil War, but the reader would be advised to read further to fully understand why this was a period when the world was turning upsidedown. 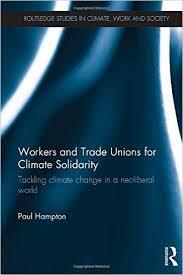 Paul Hampton's new book, Workers and Trade Unions for Climate Solidarity is an excellent examination of the debates around climate change and the role of workers and workplace organisation. Written from an explicitly Marxist point of view it argues that workers must have a central role in dealing with climate change. There are detailed case studies of the role of workplace environment reps in reducing emissions (a role that is not always purely positive in terms of wider workplace relations) as well as the struggle by Vestas workers to avoid their plant closing. For those of us who have been involved in the UK's One Million Climate Jobs campaign there is a discussion of this, and similar movements. Sadly the price (over £80) ensures that few workers will ever read it, which is an enormous shame. I wrote a full review of this book for the International Socialism Journal. You can read that here. 1549 was a difficult year for the English ruling class. War with France and Scotland was on the cards and rural discontent was spreading the length and breadth of the country. In two regions, this discontent exploded into insurrections. In Norfolk the rebellion became known as Kett's rebellion after the local gentleman who assumed leadership. 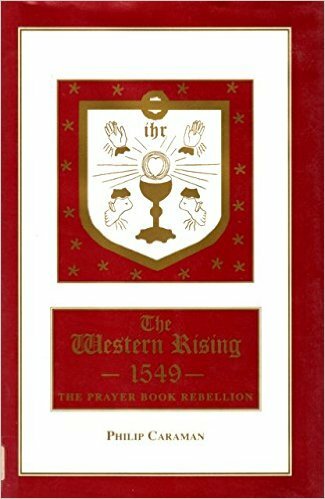 In the south-west, in Cornwall and Devon the rebellion became known as the Prayer book, or Western Uprising. They asked that curates should not be restricted to administering baptism only on Sundays and feast days as the public laid down... Mass should be celebrated with only the priest communicating; the sacrament should be reserved in churches; holy bread and water was to be distributed at the church door; Mass was to be in Latin, for the Cornishmen did not understand English, and it was to be said or sung in the choir and not set forth in front of the People 'like a Christmas play'. These, and other demands, are centred on changes being imposed by the English government. These concerned the Protestant attempts to further do away with Catholic religious practises. The changes, argues Caraman, were so significant that they forced the population "from all strata in society" into open rebellion. Caraman is absolutely right to argue that the changes, particularly the introduction of the new prayer book by Archbishop Cranmer were significant and provoked enormous anger. Particularly important was the question of language. Many people in Cornwall did not speak English and preferred the Latin liturgy. They also saw the pomp of the traditional services as an essential part of their lives. Further, Caraman argues that the precise nature of the services meant people's relationship with their past and their ancestors was destroyed. if a man really believed that the ministration of a chantry priest shortened the bitter years of Purgatory for himself and his dearest departed relatives, then the Dissolution gave him great spiritual offence and became a matter for his passionate concern. There were further impacts such as in one example given by Caraman were a village lost the endowments that had supplied water, cared for the sick and supported the clergy in the church. These sort of changes, together with the removal of traditional religious services and the introduction of new books and many new rules caused enormous anger. The point I make here, and is missed by Caraman, is that the religious grievances of the population were not just religious. They were inherently social, and simply because there was no need for the population to rise against enclosures or taxes, doesn't mean that people didn't feel like their whole lives were under assault. This helps to explain the scale of the Western Rising which at times involved tens of thousands in well-armed and well-organised rebellion. The rebellion was short lived. Despite initial successes in capturing St Michael Mount and Plymouth, the rebels became bogged down in a siege of Exeter, rather than marching on London. Had they done so, the government was so stretched dealing with multiple risings, that they may well have been able to capture London. Certainly the government thought so, and feared the rebels might put Catholic Mary on the throne instead of the boy Edward VI. The rebels didn't. Instead their siege of Exeter lasted weeks and the government was able to mobilise forces (though only by using mercenaries for the first time against their own people) to brutally suppress the uprising. Thousands were killed, many more were barbarically executed. Those responsible for the suppression seeming to take delight in their brutality. Because martial law had been declared no trials took place to leave us records of what the rebels might have said in their defence. Caraman's book is a excellent introduction to the Western Uprising. But because it separates it completely from the other revolts I think it weakens the analysis of the causes of the rebellion by over-emphasising the question of "religion". Nonetheless this is a good starting place for a study of 1549.
we must beware of assuming that they must always have acted like us, only more ancient. 2,500 years is a very long time indeed, and I suspect we would find life in the Iron Age far stranger than just living in a round-house and eating off coarse pottery. I am convinced we would find that their whole system of beliefs, standards and values was based on a view of history that was entirely alien to us. There is a danger then, for novelists writing about the distance past, or societies that are very different to modern capitalism that they simply recreate a version of the 21st century in the past. I am extremely happy to say that I think that Kim Stanley Robinson doesn't fall into this trap with his wonderful novel Shaman which explores the world of hunter-gatherers 25,000 years ago. Robinson doesn't just evoke a world that seems real, he tries to portray it through the eyes of a hunter-gatherer, Loon, who is being trained as a Shaman. Loon understands the world from the magic he knows about, the stories he has been told and the way that he and his tribe are part of nature. Robinson has clearly studied hunter-gatherers extensively. So he describes how the tribes have deep and constantly developing knowledge of flora and fauna. How they live is far from ignorant, violent or savage and much their collective survival is the act of the collective. That's not to say that individual "leaders" don't exist, but in Robinson's imagining (and backed up by various real world studies) these leaders are part of a wider collective. No one in Loon's group (just as among real world hunter-gatherers) would blindly follow dangerous suggestions from their head-man. I say head-man here, even though the tribe described often consider the women to be the most important part of the group. At the heart of this novel is a short story where Loon and others have to rescue Loon's wife from another tribe who uses them as slaves. I actually found this the least interesting and entertaining part of the book. It felt contrived and bolted on. Far from the really fascinating story of how hunter-gatherers survived, understood their world and changed it. 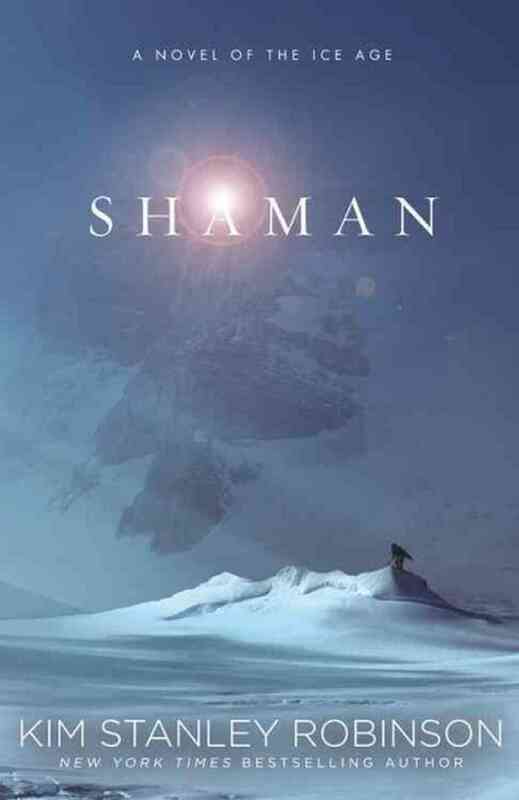 Those who have seen the wonderful film Cave of Forgotten Dreams will recognise that some of Shaman is set within and around its location. Robinson beautifully characterises the way the paintings on the wall of that cave come to life, and seem to be real to the artist, at the same time as being part of another spirit world. This is a great evocation of the past. Whether it is completely accurate we'll never know. But because it is based on real anthropology it is as far from the Flintstones as a fictional depiction of the past can be. It also helps that Kim Stanley Robinson is a cracking writer. Read it. 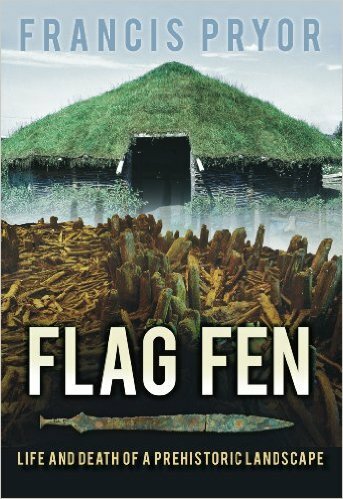 I read Flag Fen: Life and Death of a Prehistoric Landscape in preparation for a long-awaited trip to visit Flag Fen itself. I should say at the start that I thoroughly recommend a visit to this extraordinary site, which brings to life the bronze age remains hidden beneath this part of the countryside and displays the incredible finds well. It is an excellent afternoon out and the recreation of bronze age droveways (for instance) are worth visiting both for the insights into historic farming and for the wildlife attracted to the hedges, fields and areas around the lake. Flag Fen is an excellent introduction to the site. Much of it is an extensive re-write of Francis Pryor's earlier guides to the site and contains updates, additional material and corrections. The introductory chapters are a useful guide to the development of the unique fens of this part of England which help the reader understand both how the Flag Fen archaeological remains survived and the landscape which you travel through to visit the site. Pryor is also at pains to point out that climate change will almost certainly lead to this part of the world being drowned before the century is out. Visit the site while you have time and try to do something about climate inaction in the meantime would be my conclusion! This is an important point. It is no surprise that when archaeologists first looked at the sodden timbers buried at Flag Fen they assumed they had found a house, or something similar. Instead the remains are now understood as a massive long causeway of over 60,000 timbers, and a gigantic platform which sat above the surrounded marsh. Around these two enormous wooden structures were scattered the votive offerings of bronze and iron-age people - bent and broken swords, pins, knives and the occasional animal and human skeleton. The book, it should be said, is well illustrated with pictures to explain this, including the incredible shears (and their case) found at the site. As I said, the book is chiefly an account of the finds made at the site and thus must be read in that context. As with all of his popular writing, Pryor is readable and clear. Occasionally, as elsewhere, I found his still a little over-bearing, but in this case he probably has an excuse - after-all he has been chiefly responsible for making sure that Flag Fen was turned into the important historical site it is now. Sadly the book finishes on a downer. The Fens are continually being drained and buildings encroach. While climate change alters sea-levels, the drying Fens will also lead to the destruction of other, hidden remains. Pryor suggests that within 30 years it will all be gone even if future archaeologists get the funding to dig in this area. Unlike other books by Francis Pryor this is probably not one that most people will read without visiting Flag Fen itself. His other books (see below) are likely to be more useful for the casual reader that this highly specific work.